Two gubernatorial candidates running behind in the polls heading toward the Aug. 28 primaries and in need of good news, Democrat Chris King and Republican Adam Putnam, tied for first in a straw poll taken at a political mixer hosted by the Winter Park Chamber of Commerce Thursday night. King, a hometown favorite as a Winter Park resident and local entrepreneur, and Putnam, Florida’s agriculture commissioner, both finished with 23.8 percent of the vote in the chamber’s straw poll on the governor’s race. 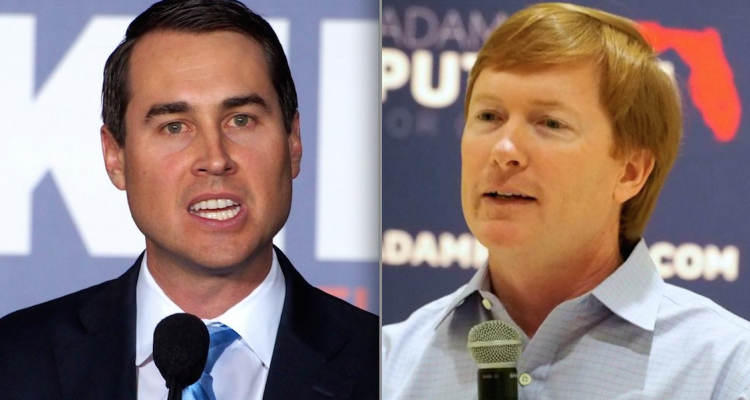 Putnam, long the front-runner in the Republican primary battle to run for governor, has dropped behind U.S. Rep. Ron DeSantis by double digits in almost all polls taken in the past month. 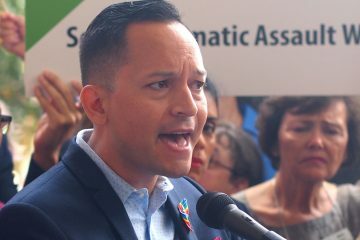 King has not been able to crack the top tier of Democrats running for governor, while facing Gwen Graham, Philip Levine, Jeff Greene, and Andre Gillum for their primary. The chamber has not yet released full results showing the percentages for candidates who did not come out on top in their race polls. Among other preferences, Gov. Rick Scott was the Winter Park chamber’s pick in the U.S. Senate race; state Rep. Mike Miller for Florida’s 7th Congressional District; and Ashley Moody, Jimmy Patronis, and Matt Caldwell for Florida’s attorney general, chief financial officer, and agriculture commissioner, respectively. All of them save King are Republicans. 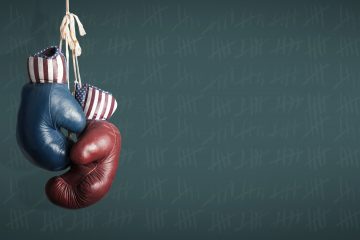 Typical of chamber polls, there was a significant Republican preference across the results, with Republican candidates picked as the choices in the overwhelming majority of races. Nonetheless, there were some Democrats who broke through as favorites. 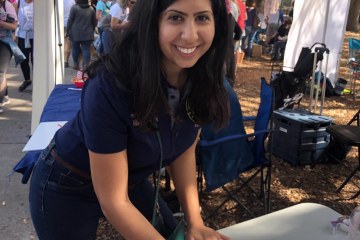 The most notable was Democrat Anna Eskamani of Orlando, the chamber’s the pick for Florida’s House District 47. She awaits the Aug. 28 Republican primary victor of either Winter Park businessman Stockton Reeves VI or Orlando attorney Mikaela Nix. They’re all shooting for the seat opening up by Miller’s congressional run. In other races, the Winter Park chamber’s straw poll showed preferences for state Rep. Bob Cortes‘s re-election in Florida House District 30; Orange County Sheriff Jerry Demings for Orange County mayor; Orange County School Board Member Christine Moore, Pete Crotty, Susan Makowski, and Orange County Commissioner Victoria Siplin for the Orange County Commissions’ district 2, 3, 4, and 6 seats, respectively; Orlando Police Chief John Mina for Orange County sheriff; Orange County Mayor Teresa Jacobs for Orange County School Board chair; Angie Gallo and former state Rep. Karen Castor Dentel for Orange County School Board districts 1 and 6; and Soil and Water District Commissioner Daisy Morales and Derek Ryan for Orange County Soil and Water Conservation District seats 2 and 4.